We flew into Killimanjaro airport at the base of Mount Killimanjaro and after grabbing a quick lunch in Arusha, we drove out to Tarangire national park in pouring rain. For a month there had been no rains in this area and we had heard the wildebeests migration is stuck in Central Serengeti. 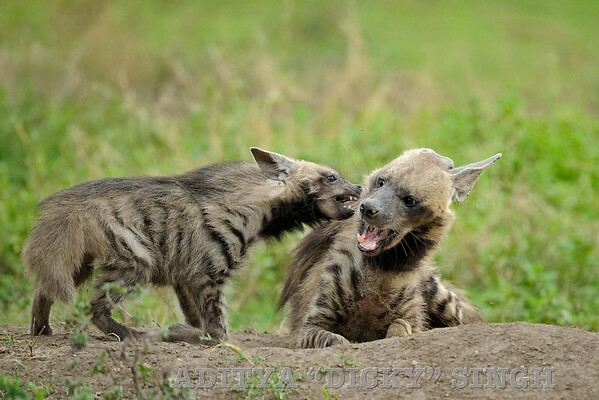 They had yet to arrive in Ndutu, which was the highlight of our trip. The rain was good for us, as it would attract the migrating herds. 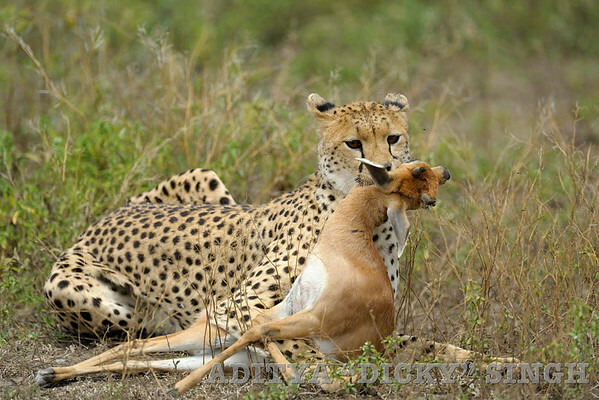 Tarangire national park – is the sixth largest national park in Tanzania. The name of the park originates from the Tarangire river that crosses through the park, being the only source of water for wild animals during dry seasons. 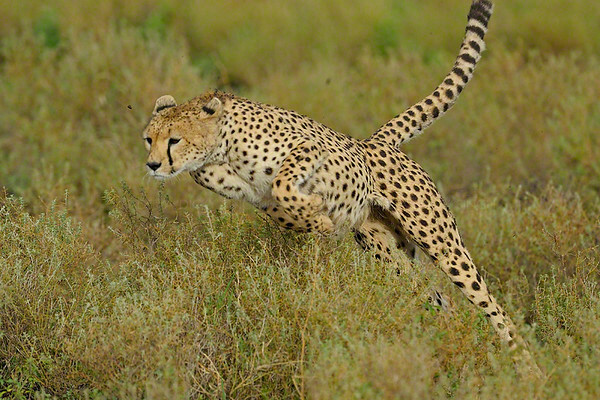 During the dry season thousands of animals migrate to the Tarangire National Park from Manyara. It covers an area of approximately 2,850 square kilometers. The landscape and vegetation is incredibly diverse with a mix that is not found anywhere else in the northern safari circuit. 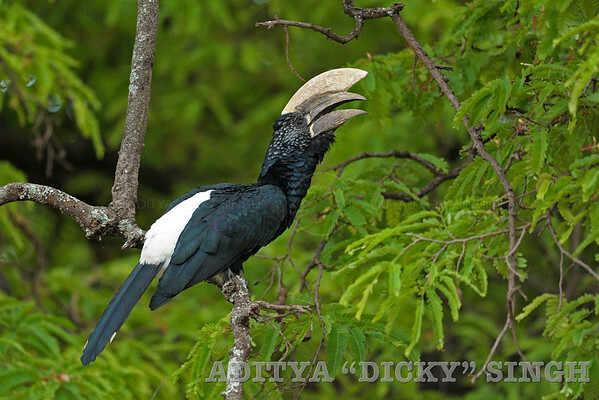 The hilly landscape is dotted with vast numbers of Baobab trees, dense bush and high grasses. 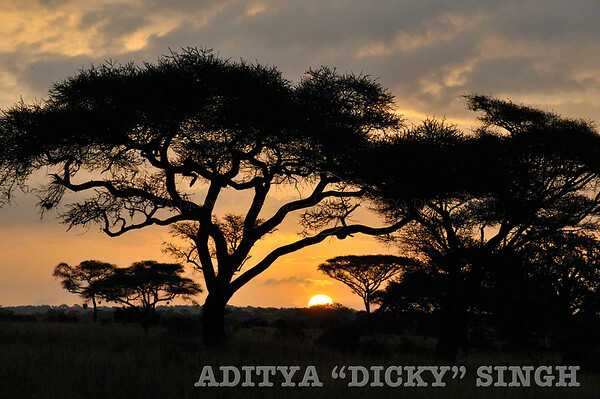 This park is famous for the large gathering of elephants especially during the dry season. 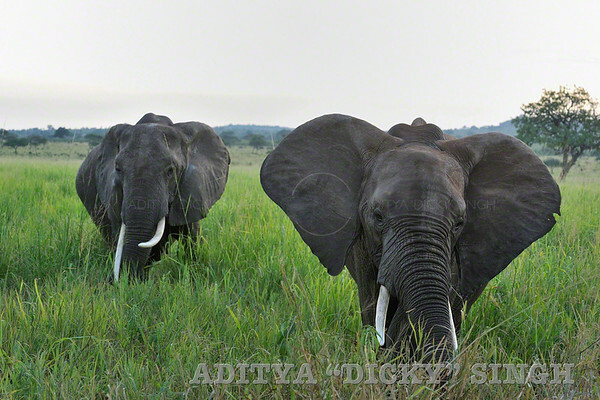 However, it had rained for a few days before we reached there and the elephants had dispersed all over the park. As a result we did not get to see large groups of elephants, though we did see many of them. We spent two nights in Tanangire and then moved on to Lake Manyara national park. Lake Manyara is a shallow lake in the East African Rift in Tanzania. The name Manyara comes from the Maasai word emanyara, which is a euphorbia plant which is found along the shores of the lake. Of the 329 square ams of Lake Manyara National Park, the lake’s alkaline waters cover over 50% of it. With an entrance gate that doubles as an exit, the trail of Lake Manyara National Park is effectively a loop that can be traversed by jeep within a couple of hours that may be stretched to a few more at best, if driving slowly, to watch, observe and enjoy the diversity of flora and fauna. The Rift Valley escarpment forms a noteworthy landmark and provides a spectacular backdrop to Lake Manyara and this is where our camp was located. The bar had a view to die for. 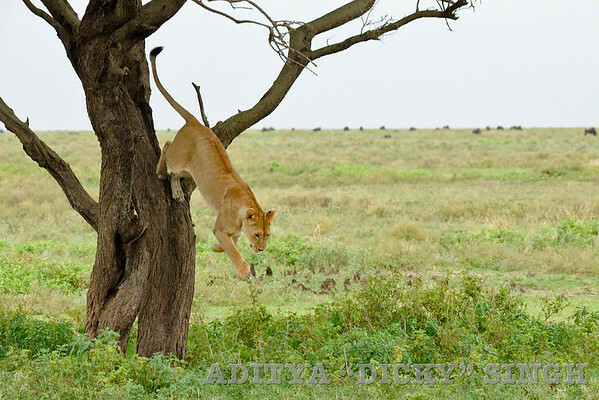 Lake Manyara is best known for its tree-climbing lions though they are very hard to see and we did not see them. 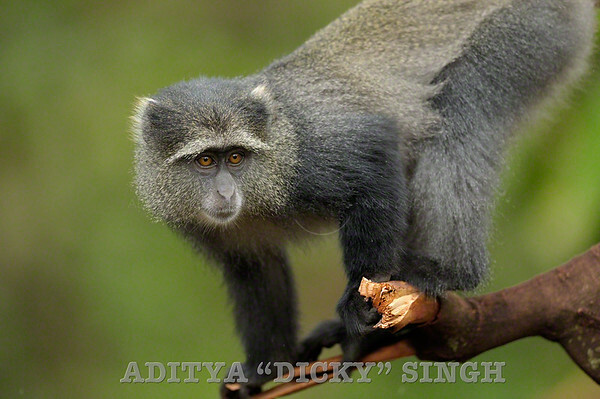 The highlight of our trip to Manyara, were the birds and the Diademed or Blue monkeys. 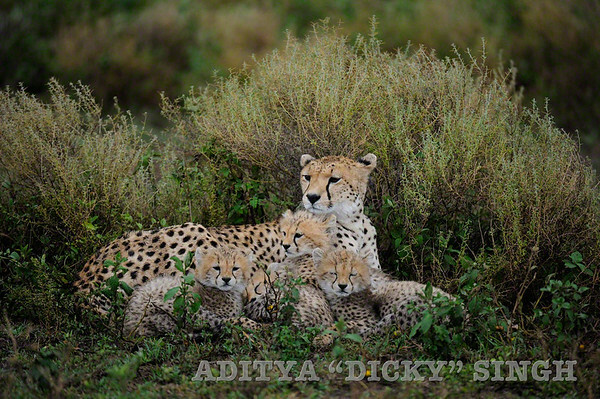 From Manyara we went to Ndutu – which was to be the highlight of our trip and it sure was. 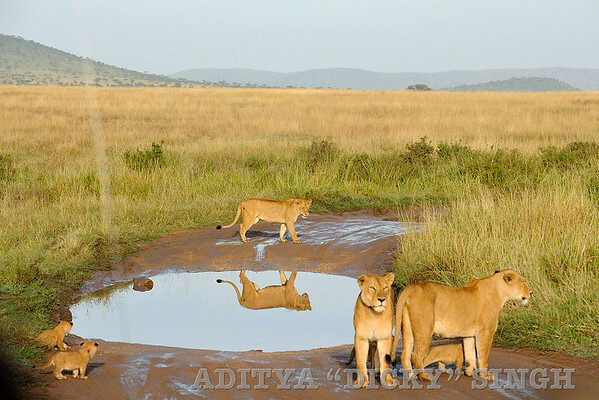 Ndutu, a part of the much larger Ngorongoro Conservation Area (NCA) in northern Tanzania, lies southeast of the more famous Serengeti national park. 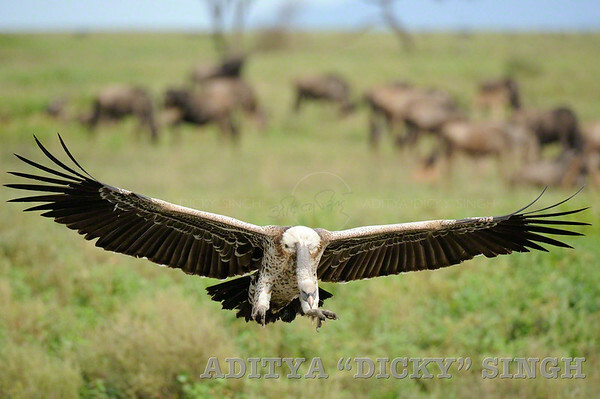 It is a part of the Serengeti ecosystem and a very important stop over for the wildebeests during their annual migration. This is where mankind originated but more importantly, for me, this is where the Great Migration starts. We were lucky. 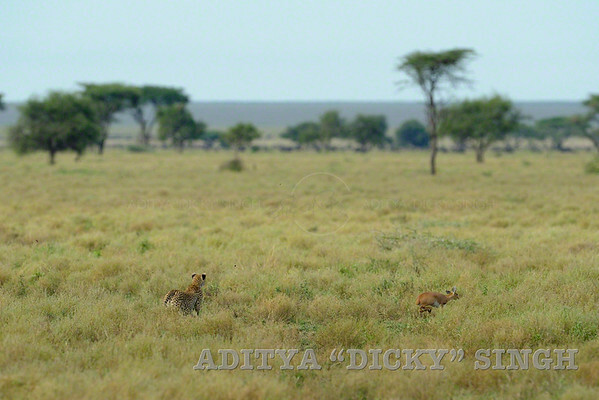 Just a few days before we reached Ndutu there were hardly any wildebeests in Ndutu. It had started raining a few days before we reached and that attracted the herds like nothing else. 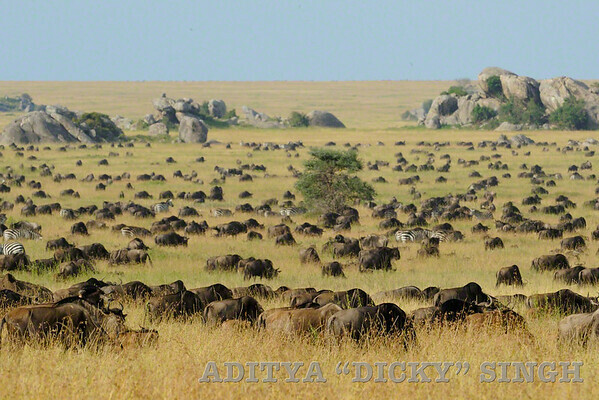 By the time we reached Ndutu, there were over half a million wildebeests and the number was growing everyday. 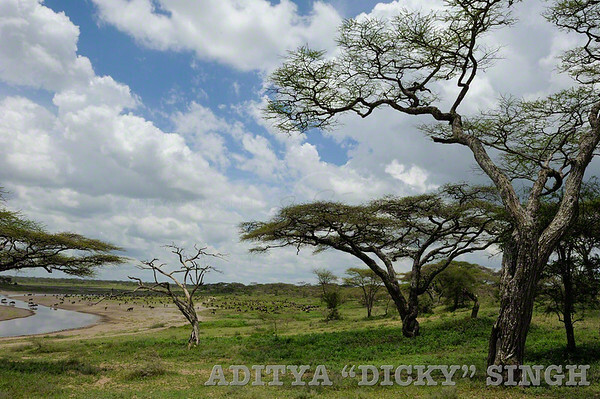 Ndutu is paradise for photographer, especially since you are allowed to drive off-road. 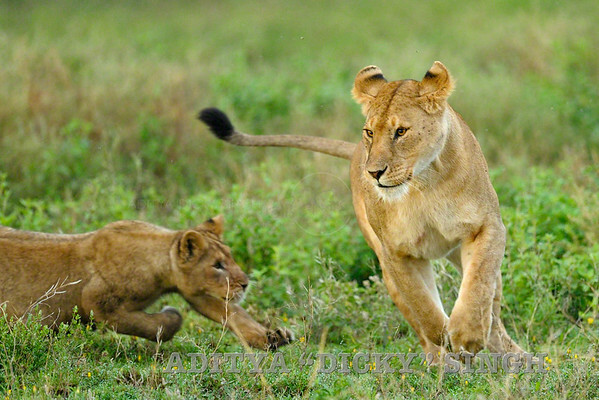 It is also one of the best places in the world to see cats in action during the calving period. 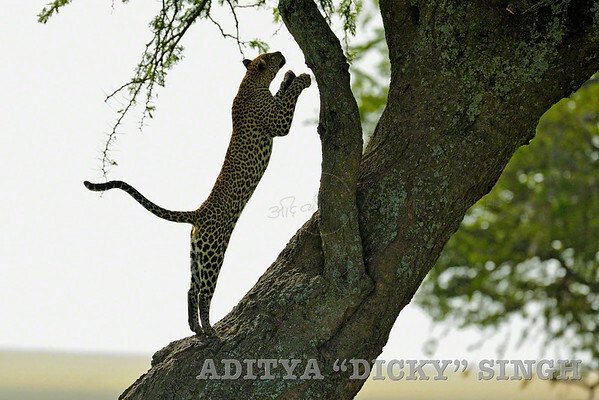 The next 8 days – the time that we spent in Ndutu were some of my best wildlife moments. 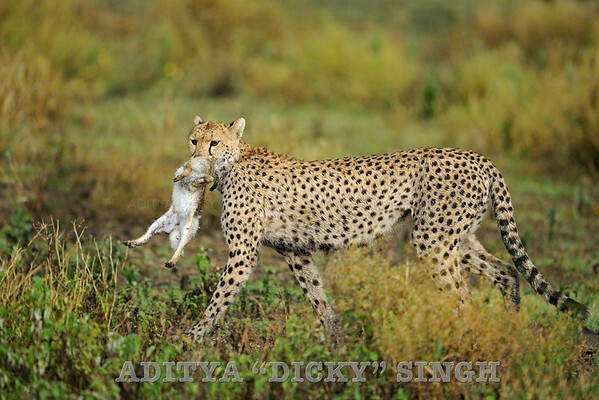 The highlights – three cheetah kills, a lion kill, a leopard jumping around a tree for nearly an hour and a striped Hyena mother with a pup. 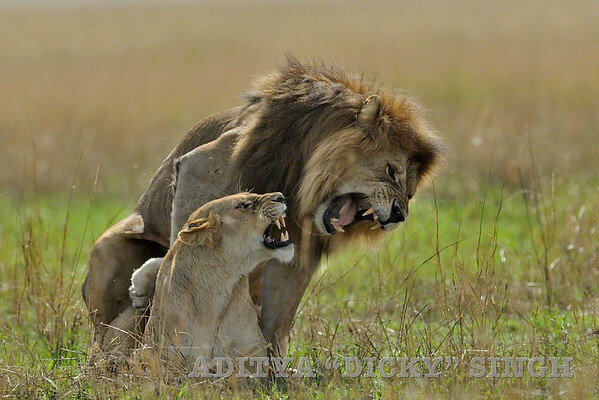 From Ndutu we went to Central Serengeti and stayed in a camp that had a resident pride of lions. 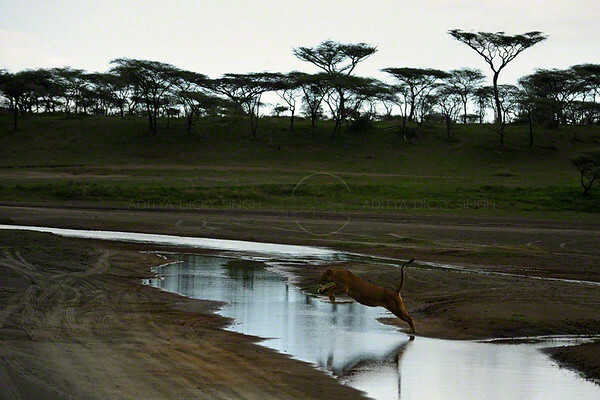 The only waterhole in that area was just behind the camp as we regularly saw lions from our tents in the night. The moon was close to being full and we spent a fair amount of time sitting next to the tent window during the nights – sipping Tusker beer without making much sound. 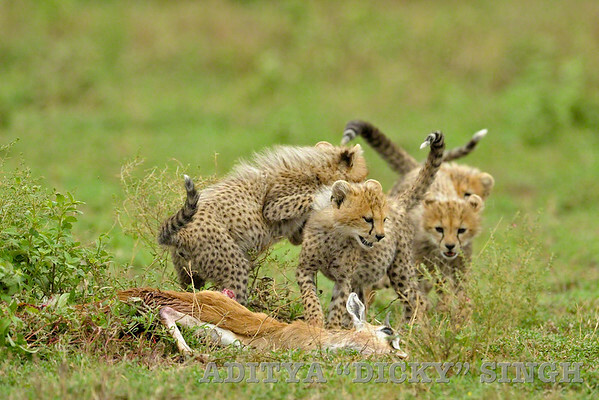 Serengeti is not really the best place for photographers. The park is huge and has few tracks. Off road driving is a strict no and most of the action is pretty far off from the tracks. However just the sight of endless sea of grass with a few rock islands (kopjes) is worth the trip. 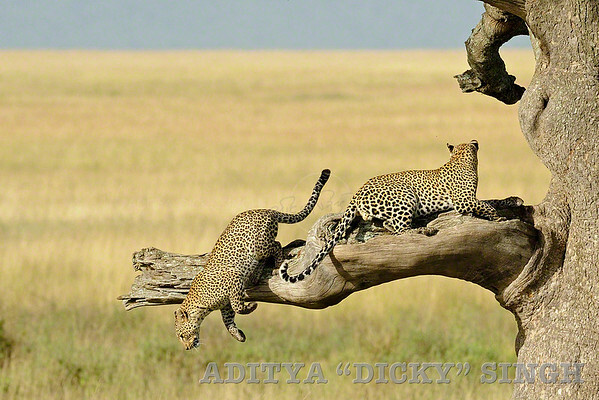 The highlight of our Serengeti trip were the many leopards that we saw. We were seeing them all the time. The best encounter was with three leopards (a mother and her two nearly full grown male cubs) who blew our mind for over an hour. One of them even went under our car for some time and later nearly jumped inside the car – we had to roll up the windows in a rush. 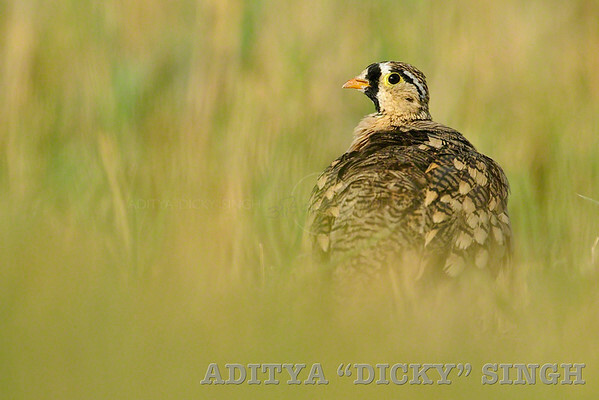 Like Jayanand said just this one encounter was worth the trip. 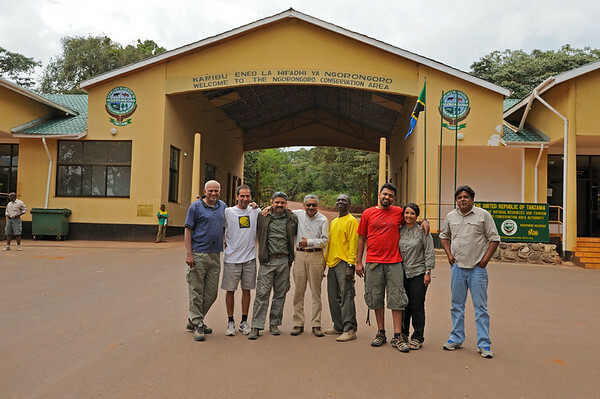 After spending four days in Serengeti we left for Ngorongoro crater. Ngorongoro Crater is a large, unbroken, unflooded volcanic caldera. The crater, which formed when a giant volcano exploded and collapsed on itself some two to three million years ago, is 610 m deep and its floor covers 260 square kms. We stayed in the Sopa Lodge at the rim of the crater, which offered a spectacular view of the crater. 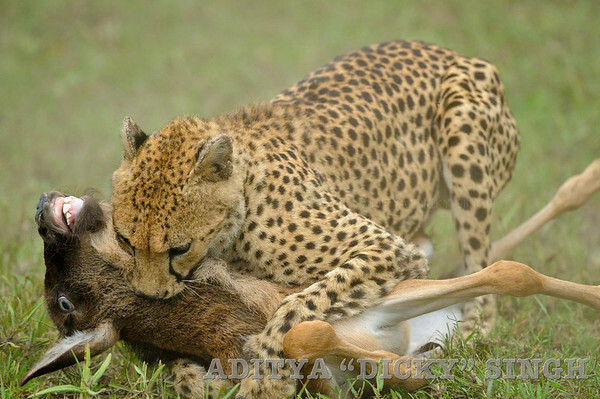 A population of approximately 25,000 large animals along with reputedly the highest density of mammalian predators in Africa, live in the crater. However for photography the crater is not happening. There is a permanent haze over the crater and the light is almost always bad. We just spent one night in the crater – sort of seeing it because we were there – and left for the Killi airport to catch out return flight. 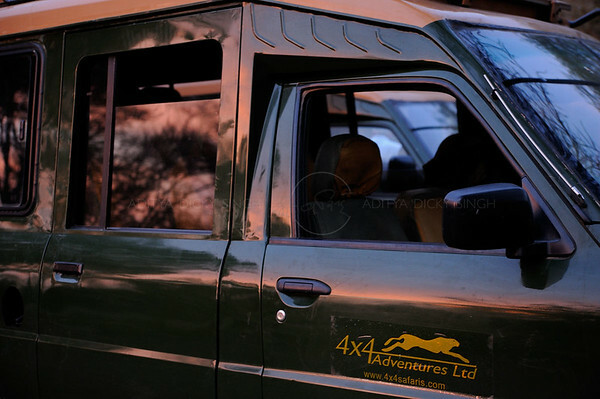 I would like to thank Sunworld Safari’s sister concern 4X4 Adventures, Gabrielle, Dave and Joanne who planned out an amazing trip for us and our star guides Ken Naikuni and Silas, who always got us in the best positions. Combine a nicely planned itinerary, with great guides, good vehicles and good locations – you just can not go wrong.